On this post I’ll explain how to setup the NFS cluster and the failover between two servers setup on the first post, using Corosync as the cluster engine and Pacemaker as the resource manager of the cluster. Corosync is an open source cluster engine which allows to share messages between the different servers of the cluster to check the health status and inform the other components of the cluster in case one of the servers goes down and starts the failover process. 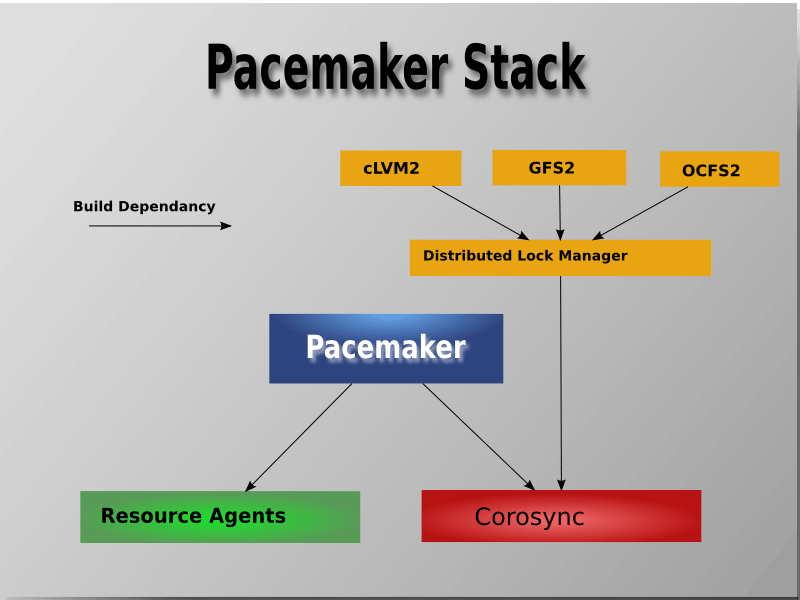 Pacemaker is an open source high availability resource manager. The task of Pacemaker is to keep the configuration of all the resources of the cluster and the relations between the servers and resources. For example if we need to setup a VIP (virtual IP), mount a filesystem or start a service on the active node of the cluster, pacemaker will setup all the resources assigned to the server in the order we specify on the configuration to ensure all the services will be started correctly. They’re just Scripts that manages different services. That scripts are based on the OCF standard: http://opencf.org/home.html The system comes already with some scripts, where most of the time will be enough for typical cluster setups, but of course that’s possible to develop a new one depending on your needs and requirements. NOTE: This command will generate the private key on the path: /etc/corosync/authkey copy the key file to the other server. # crm configure primitive p_ip_nfs ocf:heartbeat:IPaddr2 params ip="10.55.71.21" cidr_netmask="24" nic="eth0" op monitor interval="30s"
# crm configure primitive p_lsb_nfsserver lsb:nfs-kernel-server op monitor interval="30s"
# crm configure primitive p_fs_nfs ocf:heartbeat:Filesystem params device="/dev/mapper/nfs1" directory="/mnt/nfs" fstype="ext3" op start interval="0" timeout="120" op monitor interval="60" timeout="60" OCF_CHECK_LEVEL="20" op stop interval="0" timeout="240"
# crm configure group g_nfs p_fs_nfs p_lsb_nfsserver p_ip_nfs meta target-role="Started"
This post is a second part of the series of post High available NFS server, find the first part here.